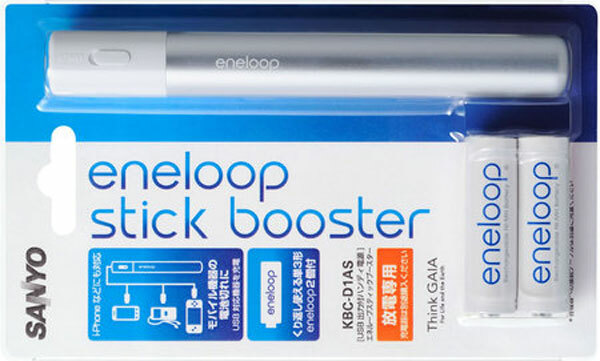 Sanyo have just announced they will be launching their Eneloop Stick Booster (KBC-D1AS) on December 1, 2009 in Japan. Never be left short again when you run out of juice for your gadgets. 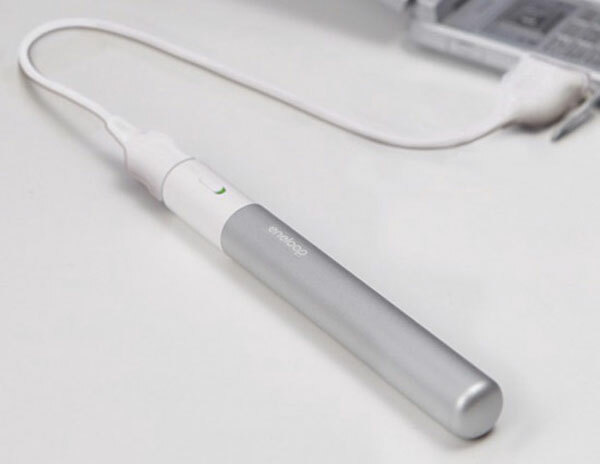 The Eneloop name came from the concept of looping energy and with its USB connection can be used to charge a variety of different devices while on the move. With its USB port, KBC-D1AS easily charges various mobile devices*3 such as mobile phones, portable game units, and personal audio devices. Regular emergency chargers that use dry cells to charge mobile phones may not be able to properly charge certain phones that require high current for charging. Thanks to SANYO’s output control technology however, the KBC-D1AS can provide a steady charge to devices that require high current, such as the iPhone*5, by regulating the charge current sent to the device. The Handy Power Source has a slide switch to turn the charge output on and off, as desired.